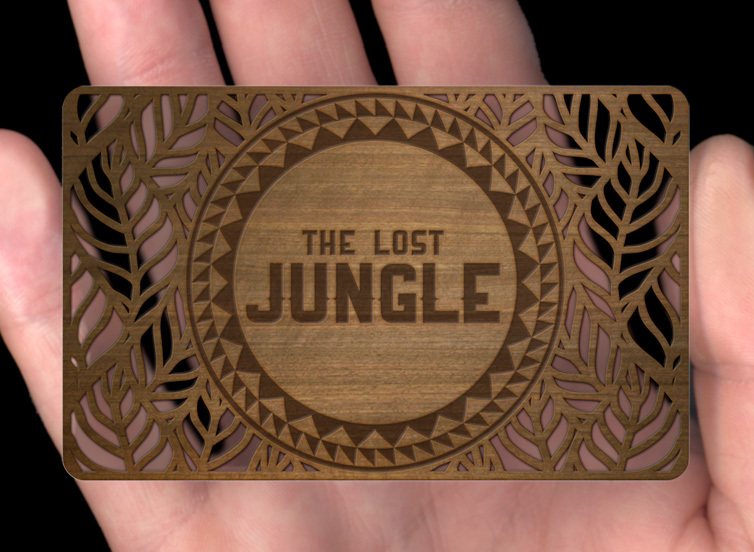 Crafted using our CO2 laser milling process, this card demonstrates the extraordinary accuracy and power of the laser as we have been able to cut away a decorative jungle pattern. The logo has then been etched into the surface of the card at a resolution of 1200dpi. The result is an eye catching card that sits perfectly alongside this company's branding.